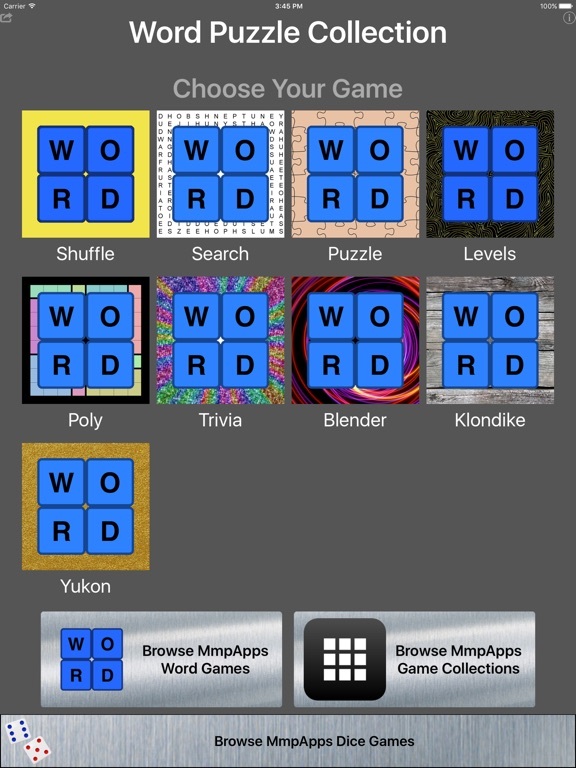 WORD PUZZLE COLLECTION is 8-in-1 word puzzle games. 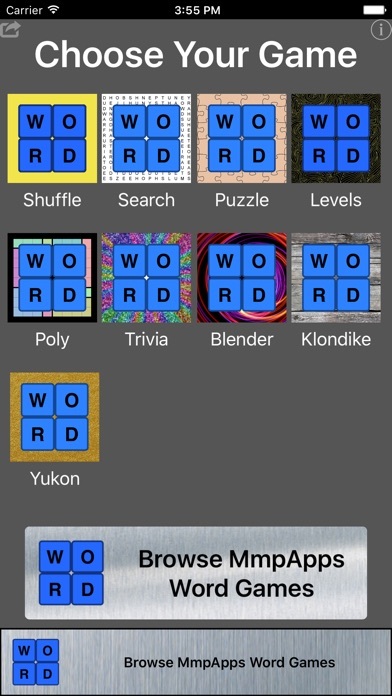 WORD KLONDIKE - Move letters around like in traditional Klondike solitaire. WORD BLENDER - Unscramble a symmetric 5x5 word square by dragging & dropping letters. Crossword clues help guide you to the solution. 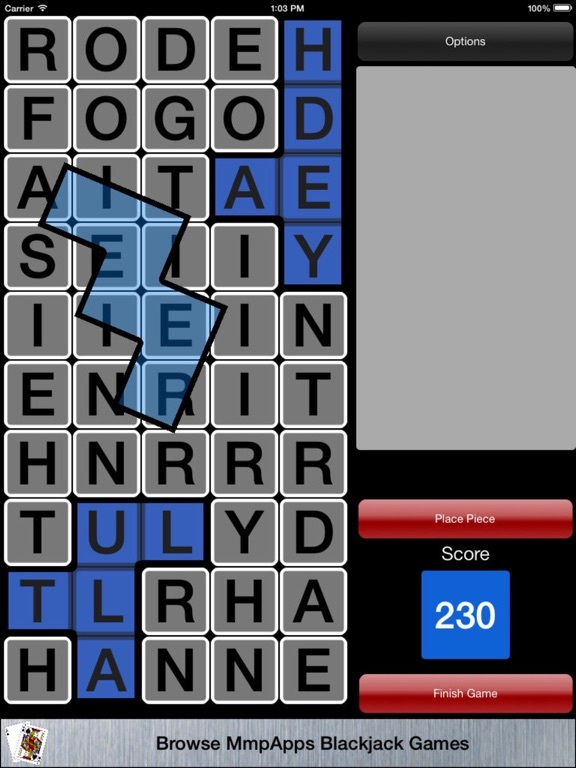 WORD LEVELS - Each level you pick letters from a grid to form words. Letters used to make words will be preserved in the next level. Letters that are not used will be removed the next level. 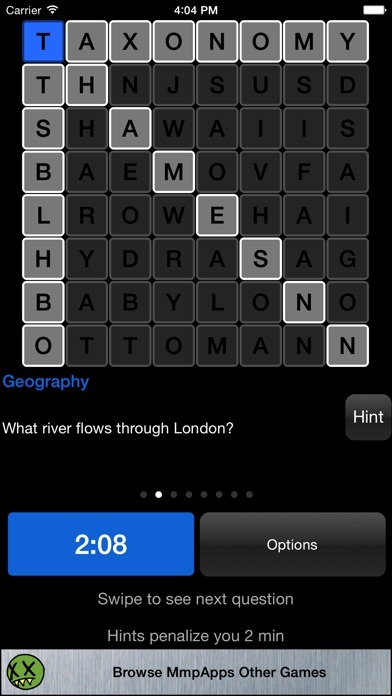 WORD SEARCH - The classic Word Search game with a timer. As quickly as possible find the indicated words in the grid of letters. TRIVIA WORD SEARCH - like a classic word search puzzle, except instead of being given words to find you are provided with trivia questions. POLYOMINO WORDS - A random Pentomino is chosen that you must place on a 5x10 grid of letters. 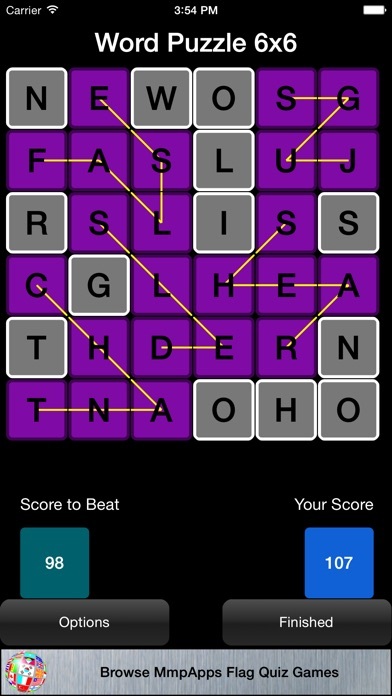 You will score all unique words that can be made by the letters covered by the puzzle piece. When you can no longer fit anymore puzzle pieces on the board the game is over. WORD PUZZLE - The board is a random array of letters. Pick the longest word you can find. That word will score and those letters are blocked. Continue to select words until you can find no more. Words must be 3-or-more letters long. The objective is to beat the computer's score. The computer's choices are revealed when the game is over. WORD SHUFFLE - Rearrange the letter tiles in a grid to make word of length 3 or more. Each row and each column is scored independently. The objective is to try to meet or beat the computer's score. WORD YUKON - Move revealed letters from stack-to-stack as you would in traditional Yukon solitaire games. However you can only move letters if the resulting column is either a word, or the prefix of a known word.